Healthy diet is important for your general health and your oral health. Follow these good diet rules to help ensure your teeth. Each food you eat or refreshment you drink comes contact with your teeth, which implies those decisions consistently affect the strength of your teeth and gums. Numerous foods in a typical American eating routine — from sugary, processed food and beverages to those that are exceptionally acidic — can really consume your tooth enamel, causing cavities. So, it's imperative to focus on eating good foods that additionally help to promote oral health. That implies moving away from sugary, sticky, and acidic foods and beverages. Rather you'll need to focus on eating a very much balanced diet that boosts your intake of tooth-friendly nutrients, for example, calcium. With these good dieting and drinking rules, you can reduce your danger of enamel erosion and cavities, and keep your smile looking healthier, longer. Cavities have for quite some time related to an eating rich in sugary, sticky foods and in addition poor oral health habits, as per the American Dental Association (ADA). So, it's essential to limit sugary goods and beverages. That doesn't simply mean candy, cookies, and cake. Soft drinks, a few games and energy drinks, and even juices are high in sugar. You may likewise be surprised to find high amount of sugar in specific brands of spaghetti sauce, cereal, and canned fruit, so it's imperative to check the sugar content in all that you eat or drink. Sticky foods like raisins, honey, and molasses, alongside with starchy foods like bread and potato chips, can stick to the surface of your teeth and increment the danger of cavities. 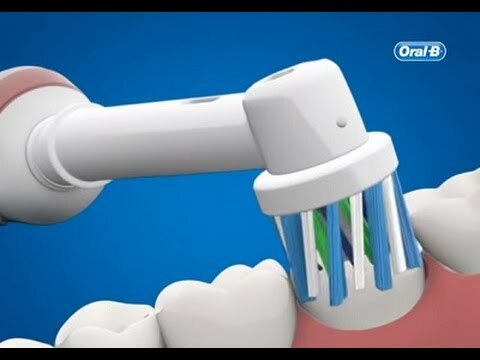 Eaten with some restraint, with great oral health practices, for example, brushing and flossing regularly, these goods are adequate in little amounts. While eating fresh produce like oranges and tomatoes is an important piece of a sound eating routine, citrus fruits and different kinds of fruit are acidic, which can influence your tooth enamel. Have a go at eating them with a meal — rather than all alone — so they're less inclined to hurt your teeth. Remember that acidic fruits in different forms (think lemon juice and cranberry jam) are yet acidic. Certain beverages, like espresso, tea, and red wine, are probably going to stain your teeth. That is because they contain colour pigments called chromogens, which append to and stain tooth enamel. That doesn't mean you can never enjoy some espresso or a glass of wine with dinner — simply drink a lot of water with it to help wash away these tooth-staining properties. The ADA suggests eating a very much adjusted diet that incorporates vegetables, fruit, whole grains, lean protein, for example, fish or beans, and dairy to help keep your teeth healthy. Eating an assortment of these healthy foods can enable you to get the nutrients you need to promote oral health. An anti-inflammatory eating corresponds with more healthier gums and less lost teeth, as per research published in June 2017 in the journal Clinical Nutrition. The AND says certain foods, for example, saturated fats and refined foods, add to inflammation. Healthy fats are an essential part of an anti-inflammatory diet that advances oral health. The AND suggests picking heart-healthy fats, for example, olive oil, avocado, and fatty fish like salmon. Dentists underscores the significance of including these sorts of omega-3 faty acids in your eating. Work with your dental specialist or a dietitian if you aren't sure how to incorporate healthy fats into your eating routine. Individuals who get the prescribed day by day measure of calcium are less likely to develop gum disease, as indicated by a study published in February 2016 in the journal Public Health Nutrition. Adults ought to get no less than 1,000 to1,300 milligrams of calcium daily, depending upon their age, as per the Office of Dietary Supplements. Alongside milk and other dairy items, foods that are high in calcium incorporate beans, almonds, and leafy greens, the ADA says. In case you're thirsty, reach for a glass of water. Plain water is best to secure the teeth and for such huge numbers of other health supporting advantages. Different drinks that aren't sweetened are ok for teeth, including unsweetened espresso and tea. If you do enjoy a sweet drink, chase it with a drink of water — this is one approach to wash a portion of the sugar off your teeth. Try not to eat or drink constantly. Your mouth needs breaks to process what you're putting in it. Separating dinners and drinks separated by at least 2 hours reduces danger of tooth decay. The ADA clarifies that your mouth creates more saliva during a meal, which can help wash away food particles, than it does in the middle of dinners. But ongoing snaking — particularly with snack choices that are terrible for your teeth, like potato chips or candies — could leave residual particles on your teeth. In case you're experiencing serious difficulties adhering to a no-snacking policy, try sugar-free chewing gum. Chewing sugar free gum after a meal or snack diminishes the danger of cavities. This is because biting gum stimulates saliva and moves the materials that can prompt tooth decay. The ADA says the increases saliva likewise adds calcium and phosphate to the mouth, which influences tooth to enamel stronger. You'll likewise get the additional advantage of fresh-smelling breath.